A couple of days ago I saw where Julie of Smiling Shelves posted a few two sentence reviews. She’s read a large volume of books lately and she used this strategy to get through several reviews quickly. What a fabulous idea. I’ve seen others occasionally post “mini reviews” as well. There are several books that I read for the LOST Book Club challenge that I never got around to reviewing. But I’ve intended to and I think it’s more likely to get done this way. There are still a few that I want to write complete reviews for, (Watership Down, The Brothers Karamazov and The Fountainhead), but for the majority that I haven’t covered already, this seems the best way. This one was in my Top Ten selection of the 50+ books I read for the challenge. It is a disturbing story that exposes the depravity of the human soul when authority, comfort and structure are stripped away. I think the prose is on the complicated or intellectual side but the premise alone will keep you reading. It pretty much leaves you with the sad realization of what we are all capable of, even as children. It’s depressing, but brilliant, and we should all read it anyway. An American classic that has everything you could want in a book! I’m not even a fan of fantasy or science fiction but when you’ve got all the brilliance that L’Engle put into this story, it doesn’t matter what you call it. It’s intelligent, exciting, creepy and love affirming. The author was someone who loved science and also loved theology and she showed that the two entities really can go hand in hand. I think this is one of the best books ever written, however, it’s one flaw is that I think the chapters are too long for kiddos. I had never heard of this one before LOST. It is an ancient and epic poem from around 2100 BC that is considered the first great work of literature. It was preserved on clay tablets for close to four thousand years and several translators have retold the story. I remember a king and a great fight/battle that he had with someone who becomes his closest friend. Even though I remember great sadness towards the end, I actually liked this story. Tell me readers, what are your thoughts about these books? Have you read them? Did you love them, hate them? I’ll see you soon with three new Five Sentence Summations. 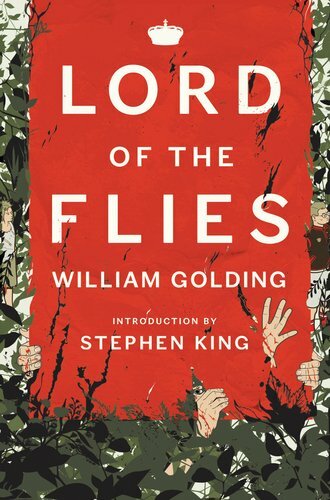 I like Lord of the Flies because it’s a picture of just where human nature will go to survive. 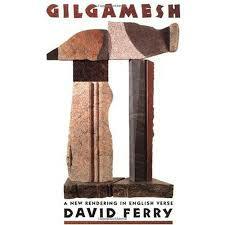 Gilgamesh I read in a college class I took. I wrote a 13 page paper tracing Joseph Campbell’s Hero’s Journey though the Epic. It was one of the best assignments I could’ve done, as I now teach a lesson based on the Hero’s Journey every year. Oh my gosh, I want to be in your class! And please tell me you watched LOST. There is a great bonus feature where they talk about Campbell’s Hero’s Journey and they apply it to each of the characters. I found it on youtube, I’m about to send it to your inbox. I haven’t! I will watch it all just for that reason ough! Awesome. If you haven’t sent it, please do. My email is on my contact link on the blog! It’s been so long on whether I’ve read these — I can’t recall but I don’t think I have. 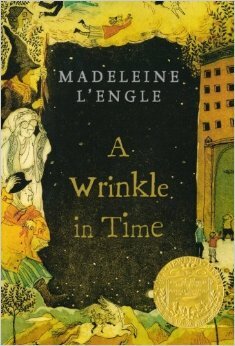 But I really should and want to read A Wrinkle in Time. That’s a classic I can’t and shouldn’t miss.